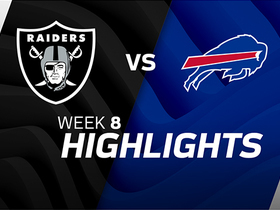 Olawale logged 10 offensive snaps during Sunday's preseason game against the Cardinals. Analysis: Olawale wasn't given a carry, but it was still good to see him out there after he hurt his arm in a recent practice. The North Texas product remains the only true fullback on the Cowboys' roster and has a solid chance of making the team's final 53-man roster. 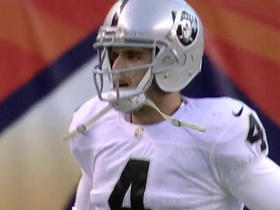 Olawale exited Wednesday's practice with an injury to his right arm, Brandon George of The Dallas Morning News reports. Analysis: The extent of Olawale's injury isn't clear, but initial reports indicated that the fullback may only be dealing with a stinger. We should know more sooner than later. 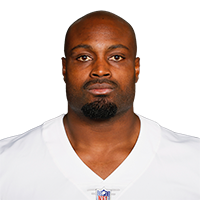 The Raiders traded Olawale and a sixth-round draft pick to Dallas for a fifth-round pick, Ian Rapoport of NFL Network reports. 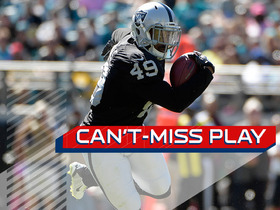 Analysis: Olawale has served as Oakland's fullback since 2013, typically playing more snaps on special teams than offense. 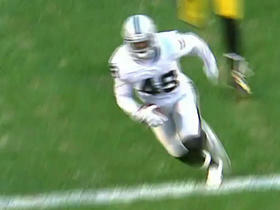 The Cowboys and Raiders are swapping fullbacks, as Keith Smith recently left Dallas to sign with Oakland. Olawale isn't much of a lead blocker, but he has the necessary speed and pass-blocking skill to fill in as a passing-down back in a pinch. He'll likely continue to see most of his snaps on special teams. Olawale (ankle) is active for Sunday's game against the Chiefs. Analysis: Olawale was limited Thursday and Friday, but he'll be able to use his run-blocking abilities Sunday. The fullback is rarely given the ball, though, with no more than five touches in a game this season. Olawale (ankle) is questionable for Sunday's game against the Chiefs. Analysis: Olawale received the designation after he was limited in practices Thursday and Friday following a no show Wednesday. 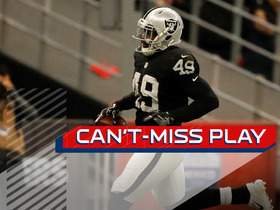 The Raiders typically don't make extensive use of their fullbacks -- Olawale has logged no more than 17 offensive snaps in any of his eight games -- so don't expect him to retain a large role if he's able to suit up Sunday. Olawale (hamstring) is listed as active Sunday versus the Patriots. Analysis: In his five appearances this season, Olawale has combined for 43 offensive snaps, which has translated to five carries for 18 yards and one touchdown and two catches (on three targets) for 13 yards. Expect a similarly sparse workload Week 11. Olawale (hamstring) is inactive for Sunday's game against the Dolphins. 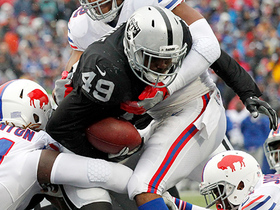 Analysis: Olawale is nursing a hamstring he tweaked last week against the Bills. 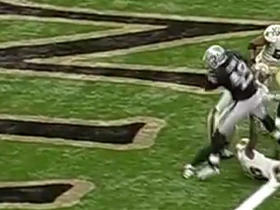 It isn't clear who might absorb lead-blocking duties in his absence. Olawale (hamstring) is listed as questionable for Sunday's game against the Dolphins. 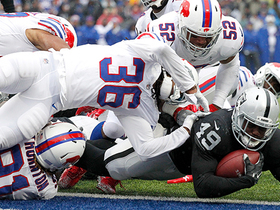 Analysis: Olawale was only able to take part in practice on a limited basis this week after injuring his hamstring in the Raiders' Week 8 loss to the Bills. 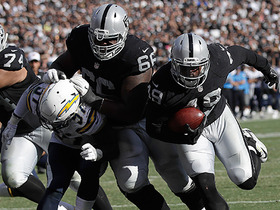 Even if Olawale is able to shake off the issue and play Sunday, he won't see many touches out of the backfield, as Raiders head coach Jack Del Rio primarily deploys the fullback as a blocker.